Skinspirations are our way of inspiring you about your skin and health. We love to share our knowledge for gaining the best out of your skin and health. If you would like further information about any of the topics covered please contact us. Every day your body makes new cells from what you eat! What you eat literally becomes what you are made of. A healthy outside comes from a healthy inside! At La Beauté we know that beauty and skin support is not just an external approach. Topical skin support from your products is only part of the equation that makes up a healthy, radiant skin, by ensuring that the food that you eat is full of nutrients and skin cell building properties is the other half. You are in control of creating your own outer beauty via the food that you eat. To help you with this we have listed our top 10 foods to help assist with your skin’s health. 1. TOMATOES, contain high levels of the anti-ageing antioxidant, Lycopene, which helps protect the skin from sun damage. 2. GREEN TEA, is considered one of the healthiest drinks and the best part is it is packed with a storehouse of skin benefits including providing the skin with plenty of antioxidants to help eliminate free radicals, preventing premature ageing. 3. WALNUTS, ALMONDS & SUNFLOWER SEED, are some of the best sources of Omega-3 and Vitamin E, helping the body with inflammation and the skin to be smoother, plumper and brighter. 4. KIWI FRUIT, these tasty fruits are loaded with vitamin C and antioxidants, which keeps the skin firm, helps prevent wrinkles and also keeps teeth and bones healthy. 5. AVOCADOS, contain an amazing amount of nutrients and healthy fats including vitamins C, E, K, folic acid, magnesium and potassium which protects the skin from environmental stresses, acts an a humectant (hydrator) for your skin and helps reduce the appearance of fine lines and wrinkles. 6. SPINACH, this leafy vegetable has immense health benefits, rich in sources of vitamin A, B, C and E, potassium, iron, calcium, magnesium and omega-3, it acts as an antioxidant and helps prevent cell damage, premature ageing, prevents dry skin and protects against UV damage. 7. BERRIES, these yummy skin superfoods are packed with antioxidants, are high in vitamin C, and also contain the anti-inflammatory anthocyanins and quercetin. Helping keep your skin evenly toned and radiant. 8. OILY FISH (Salmon, Mackerel, Tuna), are one of the best sources of Omega-3 fatty acid. Omega-3 is essential for cellular health, helping the skin to stay hydrated, reducing inflammation, clearing clogged pores and reducing fine lines and wrinkles. Oily fish also contains selenium and vitamin D.
9. EGGS, are the number one provider of protein, required for skin health and repair, providing the building blocks that create and maintain skin cells. Eggs also contain vitamin A, D, E and highly absorbable B-complex vitamins, iron, copper, selenium and antioxidants. 10. CHOCOLATE, it is true that DARK chocolate is good for your skin. The flavonoids present in dark chocolate protects the skin from UV rays and helps increase blood flow to the skin which improves the skin’s hydration and complexion. Cocoa extract helps reduce roughness and inflammation in the skin. Not all chocolate is the same only dark chocolate with at least 60% cacao is beneficial. Ensure that you treat your skin from the inside out as well as from the outside in; what you put in is as important as to what you put on!! Your skin’s barrier is your ‘roof’, it’s your defence and the way look after it will determine the appearance of your skin. What does your barrier look like? 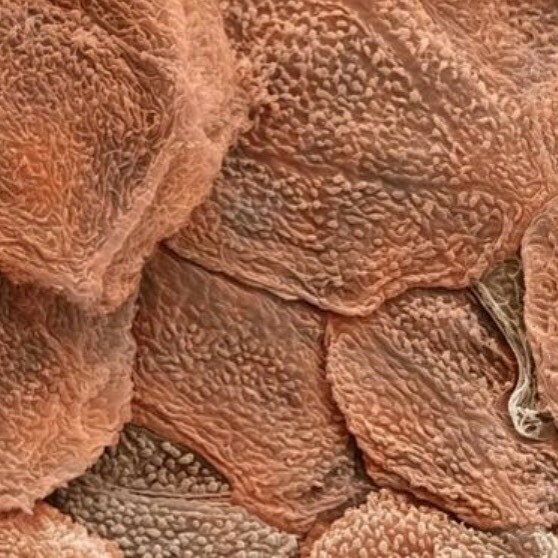 This is an amazing image that shows a microscopical look at the outer, barrier layer of a perfectly compacting skin.The skin cells are overlapping each other and locking together to create a healthy, closed skin ‘roof’? To achieve a healthy, perfect skin it is essential that your skin surface is tightly interlocked, creating a closed ‘roof’ effect. By having a closed ‘roof’ you ensure that bacteria, environmental stress, pollution and foreign matter is unable to enter into the skin’s layers and reck havoc. Whilst natural moisture found in the skin is unable to evaporate, providing hydration and a plumped skin. Our lifestyles and many products we apply to our skin actually work against the process of creating a healthy ‘roof’. We are often unaware of issues with our ‘roof’ until the damage is done and you are suffering symptoms of a compromised skin barrier. Creating a healthy, closed ‘roof’ is what I and your skincare, dermaviduals, are doing for you. We specialise and work on the principal of Corneotherapy. Corneotherapy is a specific skin treatment methodology that has proven that to achieve a healthy and optimal functioning skin, the skin must be treated as a whole including and specifically the top, outer layer of the skin. By including and keeping the skin intact as a whole at all times you are; supporting the skins natural barrier protection function, maintaining skin homeostasis, preventing or reducing structural inflammation, providing essential nutrients to the sublayer of the skin and creating ideal cellular compacting which in turn creates a closed ‘roof’ on your skin surface. Adding lemon to your water is a simple daily ritual to create beautiful and radiant skin. There are many foods which undermine our health and skin, however there are also many foods that nourish us and keep our skin and body healthy. Lemons are one of these foods and this is why. Having beautiful skin comes from having a great digestion. Even if you eat a healthy diet, you will not be able to absorb the nutrients unless your digestion system is working efficiently. 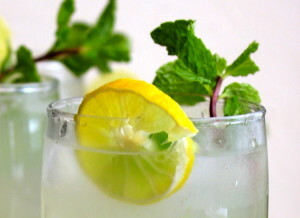 A great ritual to help with digestion is to begin your day with a lemon water. By having the juice of half a lemon in a cup of warm water you are preparing your body for digestion and setting it up for the day ahead. This is a simple yet effective process as lemons help support your liver to eliminate toxins from the body. They are also high in vitamin C, a vital antioxidant and important nutrients for the production and health of collagen – our anti-wrinkle fibre. Lemons are also a great source of phosphorus (required for a healthy nervous system, brain repair and memory) and sodium, helping eliminate wastes and prevent hardened arteries and arthritis. So make it part of your morning ritual to enjoy a warm lemon water! Many of us including myself love the sun, its heat and the positive impact that it plays on our state of mind. The sun and exposure to it’s UV rays is beneficial to us, it provides us with the ability to produce vitamin D naturally. BUT it also has the ability to create a complete disaster. We have all experienced the effects of the sun…being bright red and burnt, peeling and sore, having funny tan lines. There is a VERY fine line between the positive and negative effects of sun exposure. THE POSITIVE… When we are exposed to the sun’s UV rays it enables our body to produce Vitamin D naturally. Vitamin D aids in the absorption of calcium and phosphorus from foods and its considered a hormone which plays a vital role protecting our bones, heart and brain along with assisting our immune system to fight off any invasion of infection or disease. Sun exposure for 10-15 minutes per day provides us with our daily need of vitamin D. To get the best absorption of vitamin D in that time frame, expose your spine to the sun, the spine has large blood vessels close to the surface therefore you will receive the quickest and highest levels of absorption. THE NEGATIVE… The sun’s UV ray has a profound negative effect on our skin. 90% of symptoms of skin ageing are created by UV exposure. It is proven THE SUN WILL SPEED UP AGEING DRAMATICALLY! Damages and decreases our ‘Langerhan cells’; langerhan cells are our bodies immune responding cells. With less langerhan cells there is an increase risk of infection and bacteria entering the body or the body not picking up an infection/disease until it is too late. Inflammation; any inflammation in the skin has an ageing effect, This is due to inflammation or irritation causing damage to the DNA in our cells, which speeds up ageing in the cell. Break down of collagen and elastin; this is the main structure of your skin, when this is broken down lines and wrinkles appear. The more sun exposure the more wrinkles you will have. Pigmentation; this is one of the most visible indications of sun exposure. When the skin is exposed to UV it stimulates our skin colour cells ‘melanocytes’ to produce melan (pigment) in the skin, this is our skin’s way of trying to naturally protect itself. Long-term UV exposure will lead to visible pigmentation on the skin surface. Those big brown pigmentation spots don’t just happen over night, they are from repetitive long term exposure. Rouge skin cells; sun exposure effects the cells internal make up and can create unstable, rouge cells which create mayhem within the skin and stimulates, creates or supports negative changes within the skin. Skin cancer; occurs when a melanocyte cell becomes abnormal, grows uncontrollably, invades surrounding tissue and creates internal changes to become cancerous. This is stimulated by sun exposure. SPF & SUNSCREEN… Sunscreen is one of your best and cheapest anti-ageing products. It is a MUST that should be applied 365 days a year, regardless of the weather as even on the greyest day there is still UV rays in the environment. SPF what is it? SPF stands for Sun Protection Factor, this means the percentage of protection you have from the sun. The numbers on the bottle (15, 30, 50 etc) DON’T refer to how long you can spend outside without getting sunburnt, they refer to the amount of protection the sunscreen offers. SPF 15 filters out 93 percent of UVB rays. SPF 100 blocks 99 percent. But the higher the number is not always better. As you can see there is a 1% increase in the protection from SPF 30 to SPF 50 but there is so many more ingredients (some negative) in the product to get that 1%. An SPF 15 or 30 is an ideal percentage to use on a regular basis. Remember that the effectiveness of sunscreen decreases over time. Plus if you’re swimming or sweating, the sunscreen washes away. It is essential to reapply sunscreen every two hours — don’t wait to see your skin turning red before reapplying. It is a MUST that you wear sunscreen on your face every day. Its the best preventer for ageing we have. I am lenient on the rest of the body, this is after all how we get Vitamin D. If you are going to the beach, lake or outside for long periods, slip slop slap the whole body otherwise its the face every day no excuses! Remember to slip, slop, slap and enjoy what is looking to be a great summer. Skinspiration… Whats is in there?? In the last decade skin care has advanced from lotions that smell good and feel nice to potent creams that actually change skin cell function. The focus has moved, it is now on the active ingredients, those magic ingredients that you simply MUST have in your skin care routine. Antioxidants, peptides, collagen booster, Q10, snail slime, science advancements are continually expanding the latest ‘thing’! For you, the consumer, it can be very confusing to establish what is actually a MUST have ingredient and what is marketing hype. And whilst all of the advancements and discoveries are great, there are some things to be aware of. Be Aware… The hit actives are often brought to our attention but the base that these actives are mixed in with is often forgotten. The base is just as important as the actives they are floating in, as they are both applied to your skin. All the ingredients contain a ‘message’ that communicates to every single cell in your skin. It is not uncommon to see ingredients in a product to make it smell nice; feel soft; stop ingredients reacting or make ingredients bind. Although each ingredient has a function, it is important that all the ingredients that go on the skin, are safe and beneficial. Be Aware.. It is very scary to know that the big product houses are only required to put a small percentage of a specific ingredient into a product for them to then heavily market that their product has the latest and greatest ingredient in it. When actually the percentage is so low that you would be lucky if any of that particular ingredient would actually penetrate the skin and have any benefit. Sadly some product houses will add ingredients that actually are bad for you, and don’t think, “surely they wouldn’t be allowed to sell it if it was bad for you and your skin” because they can and they do! Be Really Aware… Always consider is how your products are being presented to you. They may come in a flash, beautiful container that looks great in your bathroom but is it practical for the ingredients that it holds inside? You must be wary of anything that is stored in a jar. You think, every time you open that jar you are exposing the delicate active ingredients to oxygen, this oxidises these actives, and compromises their strength. You are also often putting your fingers into the jar to remove the product, adding bacteria from your fingers (even the cleanest fingers) to your product. You now have a product with limited strength actives, breeding bacteria at a rapid rate that you then apply to your skin! WHAT IS GOOD FOR YOUR SKIN?? 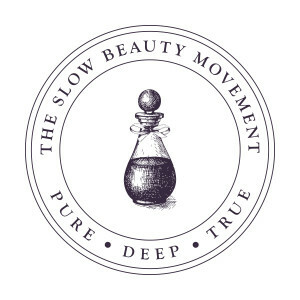 It must be free from nasties; fragrances,emulsifies, silicones, preservatives, colour. Although these nasties might feel great or smell beautiful they are really doing more harm than good to your skin. Make sure all skin care is in a airless pump bottle so the actives will actually last the full use. Look at where the active ingredients sit on the ingredients list and what it is floating in. A key trick is if the actives are in the top third of the ingredients list then there is a high percentage contained in the product. Beware and look past the B.S marketing, some companies will happily B.S market to you and therefore you must think do these companies have your skin’s best interest as their top priority. I know there are hundreds if not thousands of skincare products out there and for you choosing the ‘right’ products that are going to give you the best benefits can be a mind field. I am always here to help, this is my passion and I can assure you there are hi-tech products available that have both high concentrates of actives but also have a base that is skin cell friendly and stored correctly. As you know I am always on the look out for new products and skin care concepts that work with my philosophy of skin treatment, supporting skin health and actually targeting skin cell function. This year at La Beauté we are ramping up our treatment of skin another notch. We already have; a customisable, dermatological skincare range – dermaviduals. Inner skin nutritional support with Bestow and now we are going to have a pure, potent plant based range which can be either added into your current dermaviduals regime or used as a stand alone product range. How the discovery of Janesce came about and why I feel in love! Its has always been noted, throughout my skin studies, that hydration of the skin and the level of free water in the skin is vital for skin cellular function and ensuring ultimate skin health and appearance. Hydration is vital in your skin’s appearance, due to its need for the stimulation and support of many cellular functions in the skin, including the creation, desquamation and stimulation of skin cells. Having known that hydration is a vital key many serums, creams and internal supplements target this. Although these work great I found that there is still room for improvement and this got me thinking. When our internal organs need hydration or are thirsty we give them a drink – so why can’t we do the same with the skin! This is where I found ‘Janesce’. Janesce’s simple principle of ‘wet the skin and lock it in’ ™ provides hydration on the surface whilst the organic herbs and plant extracts absorb deeper into the lower layers of the skin ensuring that all layers of the skin retain hydration. The hydration is then ‘locked in’ with a Janesce mist or moisturisers to ensure that all moisture is retained at all levels within the skin. The mist and moisturiser are rich in organic plant extracts, to nurture, soften and protect the skin’s barrier and continue the principal of corneotherapy. Janesce applies the same principles of correcting nutritional balance both topically and internally. Janesce lifestyle and vitality programs are internal nutritional support guides, which are available to give your skin internal support, targeting a specific skin condition or to ensure you feel your best both inside and out. When the skin is hydrated it is healthy, new cell growth is encouraged, premature ageing slows and you look good and feel even better. It’s a simple concept but one that has got me hooked. This incredibly simple process is a MUST for any skin regime. We are here for you; If you would like further information about Janesce, it’s concepts and what it can offer you please contact us in salon. Our food has an incredible ability of providing us with nutrients that our body is able to convert and use for an endless range of functions. Real food provides us with a great source of real nutrients. Below is some of the vital nutrients our body needs, and the foods which provide us with the best source of these nutrients. It is important to eat a balanced diet from a variety of sources as each food has its own unique combination of nutritional value to offer you. Absorption of iron from food takes approximately 4 hours and tea or coffee can reduce the absorption. Calcium and cooper are essential for effective absorption of iron, whilst vitamin B supports secretion of stomach acid (HCI) required to dissolve the iron content in food. Magnesium is needed to support digestion processes together with calcium. Excessive amounts of alcohol can lead to a deficiency in magnesium. Magnesium is necessary for bones and teeth health and promotes a calming nervous system. Calcium is important for strong bones, stabilising blood pressure, blood clotting and acidity, healthy nervous system and protection of sunburn. Vitamin A is essential for skin health, vision, fighting infection and its antioxidant properties. Natural sources of vitamin C are better than supplements because the associated nutrients found in food assists in the functions of vitamin C. Vitamin C promotes collagen formation, heals skin, and is an antioxidant and infection fighter. Vitamin B is essential for a healthy nervous system, energy production, function of digestive system, healthy skin and hair growth. Zinc requires calcium, phosphorous and copper plus vitamin A and B for absorption. Zinc is needed for epidermal tissue support, healing and works in synergy with vitamin A.
Nutrients are essential to your inner health and outer appearance, even if you are lacking in only one area of nutrient it will have an effect on the body as many of them work in a partnership.Get into real food today and ensure you are getting all your nutrients. You’re about to have a dig at that lump on your chin, that red sore thing that’s been on your forehead for two days, the black thing on the side of your face or that lump that could possibly be a pimple that is just not at the surface yet! If you just squeeze it you will feel better right? How many times have you squeezed and squeezed hoping that something, anything will come out! But nothing does, expect clear fluid, blood or if you are lucky a tiny amount of pus. At least you have helped clear the blockage, right?!!? All you have now done is made a sore on the skin; exposed it to bacteria; created a scabby mess; extended the time it will take for that ‘spot’ to heal; probably created something that will leave a red scar and ultimately inflamed a lump under the skin that in fact wasn’t even a pimple in the first place. But at least you felt better that you attacked it, although the satisfaction quickly disappears to remorse when you see the swollen, inflamed mess you have created. Deep down we all know not to pick, squeeze, poke and ‘attack’ our face but why?? When you are trying to dig at something that is deep below the surface, you are actually creating a traumatic response in the skin, which rushes inflammatory and immune cells to that area, this is why you see immediate swelling.You are damaging the delicate capillary network causing blood to hurry into the area, this is why you see immediate increased redness. If you do break the skin (which is your aim really), blood cells will pool into the area, clotting will occur and the natural wound healing cascade will begin, making the original lump stay there for much longer than if you had just left it. There is also the possibility of long or short term scarring from the wound you have created. Along with the added bacteria you are ‘gifting’ to the lump or pimple, your nails and finger are a breeding ground for bacteria and when you use your nails to dig into your skin to pick and pop you are actually exposing more bacteria creating an even bigger infection for your skin to fight. As tempting as it is to stand in front of the mirror and pimple-pick, it is not the way to fix your skin. Blocked pore: your face has pores all over it and although most of the time the natural oil that flows out of them does so freely, at times if there is not enough natural lubricant the pore can become blocked. This then can oxidise and a blackhead will appear. If this blockage continues and the skin cells become aware they will go into clearance mode, trying to clear the blockage, fight the infection and a white headed (pus filled) spot will appear and you will have a traditional pimple. All of us are going to get some of these pimples from time-to-time but making sure you have a good skin regime and good levels of omegas (EFAs) will help reduce your chances. Hormonal spots: are hard, deep, extremely sore, pimples that appear deep within the skin, if they are not touched they will have no white (pus) head but will instead have a bruise like appearance around them. These are created internally via our hormones, and no matter how much you pick and poke nothing will come out, all you will be doing is creating a sore and exposing it to bacteria and further increasing the scarring. Because of the hormonal internal link treatment of these is specific. If you are regularly picking, popping or poking at things in your skin it’s time you spoke to us about what is really happening in your skin. We are able to help you to get the congestion and bumps under control, determine what is a real pimple and how best to treat them. and think about how much longer it is going to linger than if you just leave it alone. The beauty industry like many industries is always advancing and changing, even in the time frame that I have been involved many things have come and gone. I have always prided myself and now La Beauté on staying at the ‘top’, providing my clients with the best, most up-to-date knowledge and services, but to do this in a fast moving industry is not always easy, you must continue to remember your core philosophy and values. Which is why I am so excited that a philosophy that I have long believed in and practiced is now been recognised in the beauty and appearance industry AND not only recognised but is becoming a movement!The Slow Beauty Movement… is a philosophy to treating the skin. It is referring to a pace of treatment, it is not promising things ‘overnight’, it is not giving you quick fix options, instead it is working with the skin at its own pace (yes there is a pace! At least 40 days for any long term changes) to gain results. From this movement you gain Pure, Deep & True: Treatment, Results, Long term benefits,Delivery. Invasive, quick-fix skin treatment options will create havoc and if your skin is not prepared for the consequences you will suffer in the long term. Quick is superficial and short lived! Choose a long term plan and your skin will reward you forever. What is skin? Simply it could be said that skin is a tissue that forms the outer layer of the body. How does it work? It just does. But skin is much much more than that! It is an extremely complex web of cells that are communicating, functioning and co-habituating together to make up the tissue that covers our whole external body. There are three key layers that make up the skin (Hypo-Dermis, Dermis and Epidermis) 90% of the time we are only working in the Epidermis layer. 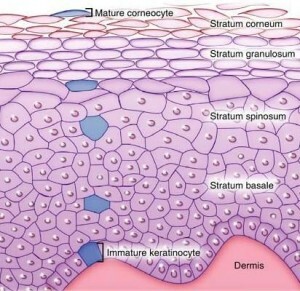 The Epidermis consists of 5 sub-layers. These sub-layers are defined by the notable changes to the cells lifecycle. 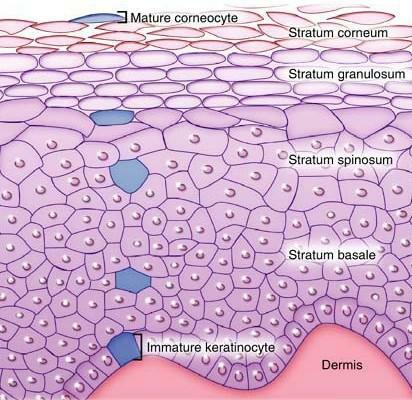 Skin cells are born deep down in the base of the Epidermis via the process mitosis (cell division and replication). Each new cell is given everything it requires to complete it’s entire journey, from “The Provider Cell” – Fibroblast. The Fibroblast is like a petrol station, it gives the new cells the required ‘fuel’ from the nutrients gained from your blood, for the big journey ahead. The cell then migrates up through the layers, changing form as it goes. These changes include flattening out; squeezing its internal lipid ‘fuel’ to surround the outside of the cell, as a form of protection; and communication to cells below, on what is needed above. When the cell makes it to the top it is completely flat, contains no ‘fuel’ and is completely reliant on what we topically apply to it. This process described above will happen wether you look after your skin or not, it is just another automatic process that happens within the body. The appearance of the skin is up to you. If at any stage during the process the cell becomes ‘upset’ then the surface of your skin will indicate it. Bumps, discolouration, dryness … every abnormality on the surface is a result of a malfunction during the cells lifecycle. Why do these malfunctions happen? Malfunctions happen for a number of reasons and it is my job when treating and looking at the skin to establish why and provide you with support to ensure these malfunctions do not occur in the future. Below are some of the most common reasons for a malfunction in the cell. Often the issue can be that “The Provider Cell” – Fibroblast didn’t have the right ingredients to fuel the new cell on its journey, so it has to do the journey lacking in what it needed to perform. This is why having a balanced diet full of all the vital nutrients is so important, as what you eat does impact on the skin’s appearance! You maybe lacking in lipid ‘fuel’, these are omegas or EFAs, cells need these as they protect the cell and create the skin bilayers, a mixture of water and oil in the top layer. You need lipids to lock in water/hydration, without them your skin will become severely dehydrated and you will not have a balanced bilayer mix. You are not externally hydrating the skin – you must hydrate the skin both internally (deepest 3 layers) and externally (top 2 layers). The bottom three layers will gain water from what you drink and eat. The top two layers are completely reliant on topical hydration. It is this topical hydrating that will determine if the skin surface looks hydrated. Topical hydration also increases cell turn over by stimulating enzyme activity in the top layer of skin, meaning you get rid of old cells in a timely fashion. You have removed your ‘oldest SAS solider’ – the top surface skin cells are the old guys, they have been around for a good period of time, they know their roll and are ready to protect the younger cells. If you remove these prematurely through wrong product usage or stripping treatments, you are exposing the less prepared cells and putting the skin into complete havoc. You are not topically supporting the skin with good skin care that supports not only the top cells but the whole cycle. Skin cells need topical support for them to look and function at their best. These are just some of the reasons. The skin is 3D and its treatment must include the whole cell cycle for you to see optimum results on the surface. Be kind to your skin, it’s an amazing organ. It is washable, stretchable, self-mending and comes with a lifetime guarantee, and all you need to do is give it a little care! 80% of skin results are gained from what you do at home. 31% of your skin’s appearance is genetic, the rest is up to you! These statistics show that you are the beholder of your skins appearance! Daily home-care is vital for optimum skin results. Once we have given you the “tools”, the continued results are up to you. In order for your skin to function effectively and have a glowing amazing appearance it takes a little care on a daily bases. It is important that you have a skin regime, this not only helps your skin but also your state of mind. Stopping for 5 minutes and completing your regime gives you time to take a couple a deep breathes, and relax. Below is a step-by-step guide for your skin regime. This is the first and an essential step in your skin regime, as it removes dirty, grime, sweat and make up from the skin surface. This ensures that the surface is clean for the actives to follow; congestion is reduced and skin cells that are ready to desquamate (be removed) are supported. I believe that unless you have an extremely oily skin you should only clean your face once a day – at night time. This will ensure that the days grime is removed but the skin is not being over cleansed and stripped. Dilute a small amount of cleanser with water; apply to your face and massage in a circular motion. Remove with a clean face cloth. If you are wearing make up a second cleanse is recommended. Soaking is a new step that I have added into regimes. Soaking is a gentle way to hydrate the upper layers of your skin by giving it a topical ‘drink’. Free water in the skin is essential for cellular function. In order to achieve a healthy functioning skin that glows you need to be giving your skin a topical drink. Quarter fill your basin with warm water add 3 drops of soaking drops to the water – this demagnetises the water: immerse the soaking cloth into the water; squeeze out excess water and apply the cloth to the whole face; hold for 10 seconds. Repeat this process 3 times before applying the following products quickly. 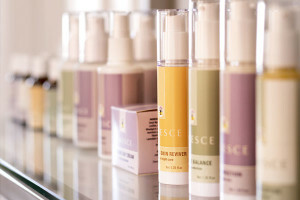 Tonics or mists are the beginning of the active treatment products used for hydration and specific conditions. Tonic and mists can be applied by either spraying the face directly and massaging into the skin or spray into your hand and apply to the skin. You should use 2-3 pumps per application. A serum provides a potent and targeted delivery of pure and active ingredients to the skin, working on skin health or specific conditions or concerns. A good quality serum should have 100% delivery to skin cells providing an intense treatment. Applying a small pump of serum to your fingertips and apply either over the whole face or specific areas. Due to the products intensity a limited amount is required. Eye creams and gels are designed for the delicate skin around the eye area, where the skin is finer (3 times finer than the rest of the skin on the face) there are also no natural lipids, meaning it has no ability to naturally hydrate itself and relies solely on products for its hydration. The eye area is the first place to show ageing and the skins true appearance, therefore it is vital that an eye product is applied. Apply an extremely small amount to your finger tips; apply the product first under the eye area, along the orbital bone and then over the lids. Moisturiser is a key product that everyone should be applying twice a day. Moisturiser maintains the natural skin barrier, effectively aids in the prevention of ageing; provides hydration and topical nutrients to the skin and ultimately ensures cell health and appearance. Apply a pea-size amount of moisturiser to your finger tips; massage in a circular motion over the whole face (including the neck) until completely absorbed. Moisturiser is to be applied both Morning and Night. Sunscreen is always the last product to be applied to the skin (other than make-up). It must be applied every day and is essential for protection from damaging UV rays. Skincare is the cheapest anti-ageing product out there as the sun is our biggest ager! Apply a good amount to your finger tips and then massage in a circular motion over the whole facial area prior to UV exposure. If swimming, sweating or in repeated UV rays always reapply every 2 hours. Now you have the steps, make this regime a reality. You only get 1 skin so its appearance is up to you! But we are always here to help! The idea of soaking the skin is based on the concept of giving the surface of your skin a drink of water. The process of ‘soaking the skin’ is perhaps the most simple treatment procedure, yet is one of the most effective for skin appearance. The skin can only be truly hydrated completely when the skin is soaked in water. When your internal organs are dehydrated you are notified by the sensation of thirst. When your external organ (the skin) is dehydrated there is no sensation to notify you, you may notice that your skin is dry or tight, you may increase your moisturiser application or add in a serum but that alone is not going to quench your skin’s ‘thirst’. Soaking is an extremely simple procedure that anyone can add into their skin regime. To soak the skin, simply fill your hand basin with warm water. Add a few drops of Janesce soaking drops – these drops help to break tension in the water, soften the skin surface and allow for deeper hydration. Take your soaking cloth and immerse it in the water. Wring it out slightly so it’s damp but not dripping wet. Gently press the cloth to your skin, covering your entire face. Press it onto the face for 20 seconds before re-immersing it in the water and repeating three times. Soaking is to done both morning and night; in the morning instead of cleansing and in the evening after cleansing. Water is an essential ingredient for skin health. The skin needs a specific amount of free water in its layers to function correctly. It is often the first ingredient in your skincare products, showing how vital it is. Although you can only fit so much “aqua/water” into products and often it is not enough to completely hydrate the skin and enable ‘free water’ in the skin. Where as when you soak the skin prior to applying your moisturiser you give your skin a full dose of hydration. This ensures that your skin has the adequate amount of free water for cell function, providing you with a healthy and hydrated skin that has an amazing ‘glow’ to it. Soaking also soften and reduces wrinkles in the skin, because when the skin is hydrated it plumps up, reducing wrinkle depth and sharpness. Although soaking the skin sounds incredibly simple, it is so effective. It is something anyone can do (even those with the most sensitive skins) and it becomes a beautiful ritual. In order to begin soaking you only require Janesce Soaking Drops to soften the water tension and increase the skins ability to absorb the high percentage of water, followed by a film-forming tonic / moisturiser to apply directly after, which will create a film to lock in the water. If you want to know more about soaking please don’t hesitate to contact us. P.S Soaking the skin and locking in the hydration doesn’t just apply to your face, after a bath or shower whilst your skin is still wet (prior to towelling off) apply a body oil, such as Pure Fiji’s body oil. This oil creates a film, and locks in hydration gained from your shower or bath. A bath or shower is only drying on the skin if you dry or let the skin dry prior to application of a film-forming product. How much product should you really be using when doing your skin regime? Sometimes more is not best, particularly when you are talking about skin care products. The Beauty Serving Size is my way of showing you how much to use of each product. 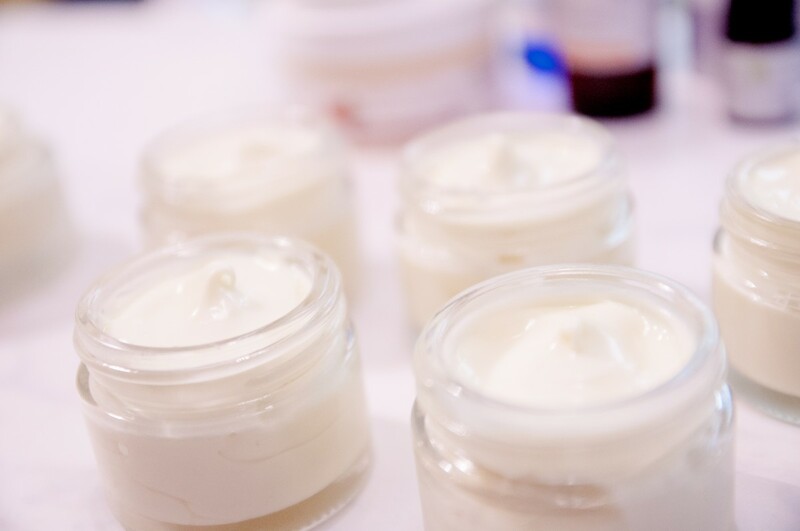 A key thing to remember with skin products is the more concentrated in ingredients the less you need to use. We work with high quality, professional grade products which contain some of the highest concentrates that can be created and sold, meaning you need very little of a product for it to work. Using too much of a product is not going to speed up your results, it is not going to completely remove ‘that wrinkle’ over night, it is not going to magically clear your acne. It is actually going to increase your risk of a reaction, aggravate the skin and sometimes create acne! You must only use enough product to cover the whole face, neck and décolleté (chest). I have found the best way to describe the correct volume to use is to describe it to you as the size of the humble vegetable. … the pea! Cleanser: You need a full, hydrated pea size of cleanser and then mix it with water prior to applying it to the face, and add more water to finger tips when massaging the cleanser around if required. You will find by adding water the product will go a lot further. Soaking Drops: (Janesce clients) you only require 2-3 drops in a ¾ full basin of water, any more than this and you will have an opposite effect and actually dry out your skin. It is also important to only use luke warm water – never hot, as this can cause skin damage also. Toner/Mist: 2 – 3 spritzes – I find it easier and more controlled to spritz the toner/mist into my hand and then apply to my face. Serum(s): you need ½ a pea size. Serums are your most concentrated product therefore you only need a very small amount. Moisturiser: you need a full pea size for the face, neck and décolleté. If you are soaking your skin prior to applying your moisturiser then you may require less than a pea size as the skin is already hydrated. Eye Cream: you only need ½ a dehydrated pea size for both eyes, as the skin around the eye area is finer than elsewhere on the face, applying too much product can irritate the eyes and create milia (white little balls under the skin). Sunscreen: you need a fat, hydrated pea size of sunscreen for your face, neck and décolleté. This is a product you don’t want to be light handed with and remember to reapply if needed! When you invest in good skin care we want you to receive the full benefits from it. 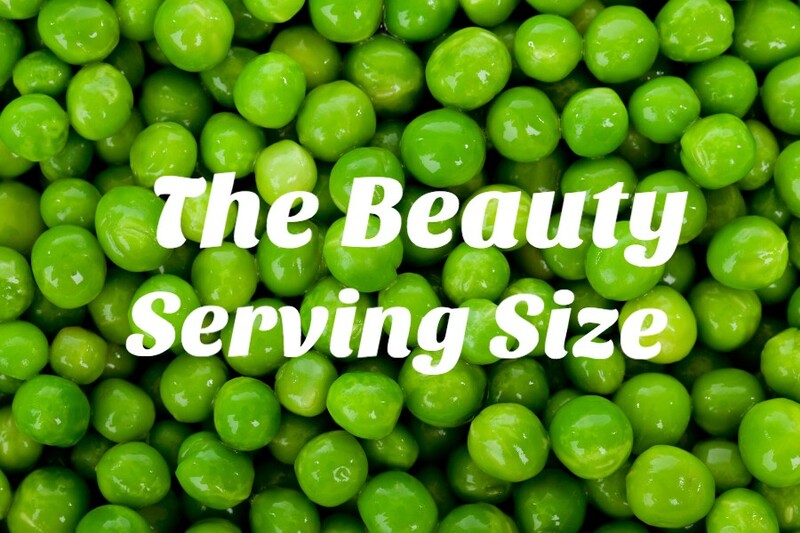 Remember your ‘Beauty Serving Size’, because if you are too heavy you are not only wasting product but you could also be negatively impacting the skin function and appearance. I work with makeup every day, I know how much it can change a woman’s face and give her a boost in her confidence. I also know that as we age; the style changes; new products become available; it can be scary for some women and their confidence to apply or wear makeup changes, so naturally they just do what they have always done or even worst they give up wearing it at all. The world of makeup is forever changing; product houses keep renaming their foundation with fancy names like B.B or C.C to confuse you; magazines give you all this advice on how to contour perfectly yet you don’t even know how to apply your foundation; youtube and facebook show videos on ‘how to get the perfect look’ but they use so much technical jargon you soon decide that it is just too hard. Although changes occur or advice is given it is often not essential, all you really need is the key skills to apply makeup, the vital tips (that actually help you) and for you to have the confidence to know that what you are doing works for you, your age and what you are wanting to achieve. Below are 5 of my key pointers to consider when working with make up. Many peoples application tools consist of a few odd bits and pieces that they normally don’t use, instead replacing them for their beloved fingers. The first step towards getting any make up application to look right is to have the right tools! Using your fingers to apply make up is one of the biggest mistakes many make, you are never going to get a nice even application of foundation with your finger! Foundation Brush; this is essential, it not only gives an even, blended finish to your foundation, it also makes your foundation go further. I can always tell when foundation is applied with fingers as not only is the finish uneven but there is often finger tip marks left on the face. I swear this brush is a MUST! Eyeshadow Brush; you don’t need heaps of brushes for eyeshadow just one or two regardless of the look but again fingers are not an option! Magazines, youtube, Facebook etc often demonstrate in-depth, complex make up applications that go beyond most peoples skill set or give a look that is unrealistic for every day wear . Yes these looks may look incredible but they often put you off even trying. Make up is meant to be simple and often quick, so by sticking to the basics and knowing the key daily steps you will always ensure that your make up is suited for every day wear – yet a complete look. My full daily make up application takes me around about 6 minutes, I know many may struggle to find 6 minutes but the lift that it gives you is worth it! I hate to burst your bubble but I am sorry what worked for you at 18 will not work at 40! As you age and your face naturally changes you have to change your make up habits. Continuing to do what you have always done is often a mistake many of us make, instead be open to change and find new habits that work for your age, style, stage of life and ability. In saying that, whatever you do don’t stop wearing make up just because you are no longer 18. Make up is a wonderful modality that can give you a huge confidence boost, enhance you natural features and hide unwanted skin changes. Naturally gravity has a downwards pull on the face, so make sure that you always angle you make up upwards. It will counteract and often hide the gravity pull. Blusher/bronzer should be angled from the apple of the cheek upward along the cheek bone to lift the whole facial structure and eyeshadow should be blended on a upwards angle to lift the skin above the eye socket. Each time you add a colour to the face (eyes, lips. cheeks) by aware of the angle that you apply it. 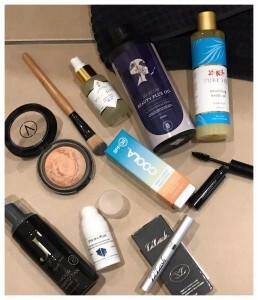 There are many various ways of applying mascara and in part most of them are true yet you will also have your own way of applying it that works for you so if it works then go with it. This rule applies for all steps in your make up regime. Make up is individual and everyones desired look is personal, if you find a way that gives you the desired look in a easy manner then go with that way!! If you find the whole aspect of make up daunting; have lost your confidence or feel you want to learn the key steps to achieving a gorgeous everyday make up then we can help. I offer lessons in both a group class or one-on-one environment where I show you in a hands on setting the key steps required for everyday make up application. In both options you leave with all the tools (brushes) you need, along with the skills to ensure you can embrace and have confidence with your make up. Why should we love our skin? Our skin is an AMAZING and vital organ that we often never think about until something changes in it, but when you actually think about all it does for you, it is hard not to gain a new respect for it. Your skin is not simply a layer; it is a vital organ that you can’t live without. It is your communicator from the outside to the inside and vice-versa. It is an incredible barometer of what is going on inside your body. All skin conditions from rashes; acne; to the signs of ageing, are the manifestations of your body’s internal needs. Your skin’s reflection is a daily indicator of what is happening internally. The skin preforms a multitude of tasks, most of which go unnoticed and under-appreciated until you stop and think about it. Our skin protects us from disease and daily exposure from harmful particles in the air or surfaces we touch. Our skin cools us when we are hot, and warms us when we are cold. Our skin heals wounds inflicted on it, often without any assistance from us. Our skin is able to absorb sunlight and produces Vitamin D, which is a critical vitamin for our health. Our skin keeps itself moist (although a little help from us is needed). Our skin warns us of dangers, it tells us if something is sharp, hot, or cold. Our skin tells us of the environment around us, when the sun is shining we feel the heat, when the wind is cold our skin tells us. Our skin is our sense of touch, it is how we feel a hug or kiss or the sand on the beach. Our skin stretches, allowing us to move freely, grow and expand. Our skin slows its own ageing. Our skin every day attempts to renew and restore itself, to be in the best state it can be. While skin accomplishes all of this on its own, it still needs support in order to thrive, not just function! Skinspiration… COULD YOUR SKINCARE BE CREATING ACNE? YES it most certainly can be!! You see acne always has a cause; whether it is hormonally, internally or externally, finding the cause is a big step in enabling us to treat it and skin care can be one of the causes! There are some skin care ranges that although marketed that they are good for the skin, and in particular good for acne, they are actually lying to you as a form of clever marketing! These products won’t help the skin and treat acne they will actually create it or stimulate what is already there. But their marketing never tells you that!! How do I know that some skin care products (or ingredients) are responsible for creating acne? By simple science; involving you skin’s P.H and a bacteria that lives on everyone’s skin. There is a good bacteria that lives on everyone’s skin call P-Acne (propionibacterium acne), this bacteria is just one of the many positive bacterias that co-habitats on the surface of the skin. This particular one is found near the opening to sebaceous glands/hair follicles/pores over the body. As sebaceous lipids (internal lipids/oils) move up the hair shaft/pore to the surface the P-Acne bacteria automatically turns it into an acid. This acid has a P.H of 5.5, same as the skin surface. If the skin surface is stripped by wrong product use then the P-Acne’s home is removed and the flow of lipids is reduced. To protect itself the P-Acne will move down the hair shaft/pore in search of a new home and a higher supply of lipids. The base of hair shafts/pores has a P.H of 7 (neutral). Once inside the shaft/pore the P-Acne continues to make it’s acid of P.H 5.5 but this time it has been added to a P.H 7 environment, creating a reaction and inflammation that we see on the surface as pimples. In order to return the P-Acne to the surface and restore harmony to the skin, you must stop stripping the skin with wrong product use. The products you apply to your skin must support the P-Acne environment on the surface and keep regular lipid flow. It is common for some stripping ingredients to make an immediate improvement in the skin, so you think great this is working! Then with time it regresses back or to an even worse state. This is the product ranges clever marketing; it keeps you using it with hope it will continue to help! BUT now you know about the bacteria P-Acne, so if you find a product is stripping the skin, making it feel tight right after application, you know it is effecting your P-Acne’s home and your result will be acne!WARNING: A major stripper of the skin barrier is soap or harsh cleansers. If after you cleanse your face, it immediately feels tight, has a shine to the surface or you have to apply moisturiser to ‘hydrate’ and loosen the tight feeling then the product(s) you are using prior is stripping your barrier and will be creating issues in the skin. Soap and some cleansing products have a alkaline p.H, often between p.H 9-12. This a huge increase in the p.H scale from the skin surface p.H from 5.5! So think about the feeling your cleanser is given you following. Tight, shiny, needing hydration, then be alarmed!! I live in a world of beauty products, skin care and make-up. I have been very fortune (and unfortunate at times) to be able to trial, sample and play with SO many products over my time in the beauty industry. I now want to share with you my top 10 – if I was on a deserted island this would be my must haves! I swear by this product! This serum is what enable my lashes to grow to extreme lengthens and be lushes and thick. I have been using this product for the past 8 years and to be complete honest with you I can’t remember the exact length of my natural ‘un-Li-Lashes’ lash but this product has made they lash grow to exception lengths. I take this high omega oil daily in my morning smoothie to ensure that my skin stays hydrated, plump and glowing whilst stopping me getting black heads and pimples. Bestow Beauty Oil a liquid format of essential fatty acids (EFAs / Omegas), which are essential for nearly all cell functions in the skin. I personally find if I don’t take this oil my skin is blocked and congested within a matter of days! This is a new product that I have recently be trialling and LOVE! It is a combined primer and sunscreen in one product. I always wear sunscreen every single day of the year regardless of that fact I am inside 99% of the day as sunscreen is the cheapest anti-ageing product out there (sun is NZ biggest ager) I also wear a primer daily following my sunscreen but prior to my foundation as a primer give a great base for my foundation and ensures that the make up lasts the full day. I found that this product by been multi-tasking saved time, felt beautiful and soft on and kept my make up look fresh all day, whilst protecting me from the sun. I am a bronzer girl, and ‘Sun Goddess’ is my all time favourite! I always apply bronzer in place of blusher when wear make up and often on make up free days will still apply a little bronzer to my cheeks! With bronzer giving a nice golden glow (rather than pink or orange) I found it softer, more natural and MUCH easier to apply! I am all about anti-ageing so naturally a age-defying serum is going to appear on this list! I play around with a range of serums / concentrates and treatment lotions depending on the seasons and how my skin is but this serum is one of my all time favs! Targeting hydration via hyaluronic acid and has a potent herbal blend which have stimulating, protecting and revitalising properties. I apply this directly after soaking both morning and night. As you know a good mascara is key and I personal think this one is better than good! It is all starts with the brush, this brush is thick and dense so its gets as much mascara as possible onto the lashes but also separates out my lashes nicely. Plus it is water resistant, so comes off easy with cleanser but not during the day! “The eye area is the first area to show signs of ageing due to the skin been 3 times thinner than else where on the face and there been no natural oil glands. Your face moisturiser is unable to hydrate the skin around the delicate eye area.” – It is because of this that eye gel appears on my top picks. I apply eye gel to my eye area both morning and night to fight the signs of ageing, reduce wrinkles and ensure that the skin around the eye area is hydrated. This product also contains cooling properties (cucumber) so I store my in the fridge so that when it is applied it cools and reduces puffiness (especially in the morning). I know this isn’t a product but I just had to include it as it truely is an amazing tool that I could not live without! Foundation brushes ensure that the foundation is blended in evenly and without leaving visible finger-tip marks. I found that you can build and control exact how much foundation you apply with a brush and also ensure that you don’t get lines at either the jaw or hair line. The key word here is rapid, this tan works in 1 hour and you can control exactly how dark you go! I don’t have time to wait 5 hours + for a tan to develop, therefore with this one I can apply it, 1 hour later wash the indicator colour off (although I don’t have to do this as it is a nice bronze colour also) and boom I am tanned and ready to go! This product is a mouse format which is applied to the body using a mitt, you are able to select which areas to apply to (arms/legs/chest or whole body ect) and is easy to apply giving a streak-free finish. Also because it is violet based there is no chance of it going orange! I could keep going with products that I love and must have, if I was on a deserted island I would require a rather large toilette bag!! All of the products above La Beauté does retail…why? Because naturally I would not recommend to you products that I don’t love, trust and believe in. Most people have heard or read about cosmetic injectables, others will have seen the Hollywood injection disasters splashed over the media but many don’t really know what injectable are, how they work and if people actually get them done!! The media has done well to show us the effects, given us snippets of information and often enabled you to make a quick fire opinion about injectables with limited facts and a few scary photos. I like many of you have my own personal opinion of cosmetic injectable’s (which I will cover in this skinspiration) but I am also aware that many of you have made your decision without all the information so I want this skinspriation to be direct non-swaying information about exactly what they are, how they work and is it common to have either injected. What even is Cosmetic Injectable? Cosmetic Injectable’s is an umbrella title for Botox (also known as botulinum toxin) and Dermal Fillers. Yes that’s right they are two completely separate treatments, two separate products and doing two separate tasks!! You can have either one or both injected as they work in different areas of the face and provide different results. Botox; works by blocking nerve signals in the muscle(s) that it is injected into. When those nerves signals are interrupted the affected muscle(s) are temporarily frozen or reduced in movement. Without movement of those selected muscles in the face, certain wrinkles that are created through muscle movements are softened, reduced or can be completely removed. The most common areas for Botox is in areas of repeated facial movements such as, frown lines (lines between the middle of the brows created from frowning), forehead lines (lines horizontally created from raised brows) and ‘crows feet’ (lines on the outer corners of the eyes due to squinting). The degree in reduced movement or frozen result is determined by the amount (units) injected into the muscle, the more units the less movements. Botox is not permanent; it takes about 7 days following the treatment to see a reduction or no movement in the targeted muscles and lasts for about 4-6 months, although everyone is different. Dermal Fillers, are a mixture of substances contained in a hyaluronic acid gel (Hyaluronic acid is naturally found in the skin and provides our own natural plumpness but depletes with age) that are designed to be injected beneath the skin to add volume and plump areas that have had a loss of volume, sagged or were smaller than desired. Once injected the fillers, ‘fill in’ and smooth out the area providing a change in the size, surface or shape of the area. The most common places for dermal fillers is in areas that have lost collagen and elastin such as, the mouth (lines around the whole mouth area including smile lines, and nasal lines), lips (yes this is what makes those huge lips you see from Hollywood, but it can be done subtly too), cheeks, jawline and recessed scars. The visual result is determined by the amount of units applied into an area; those Hollywood ballooning lips have a very high amount of units injected, this is not normal and most doctors will not inject this level even if you wanted to! The time that is takes for the filler to work, as well as how long it lasts is widely varied, some last 6 months, while others last 2+ years. So are people getting it done?? The simple answer is YES, both Botox and Dermal Fillers are being done both in New Zealand and world wide on a massive scale. Millions of units per year in New Zealand alone, by a wide variety of ages! Many people think that the celebrities are the only ones getting cosmetic injectables, as that is often all we hear about as both botox and dermal fillers are often kept as a bit of an unspoken ‘secret’ by those having the procedure and therefore it is natural to think it is uncommon but I can assure you that this is not the case at all. In nutshell I am both for and against. I feel that it very much has its place in the non-invasive cosmetic world and it is needed at times to gain a desired result as there is no skin care product on the market that is going to counter-act and remove a wrinkle/line that is created from the repeated facial movement without first freezing the muscle creating the movement and then using the correct skin care to soften the wrinkle/line to achieve better results. But at the same time I think that you must be aware that Botox and Fillers are only one string and that all the Botox and Fillers in the world are not going to make a skin glow, look fresh and function in a healthy manner, that comes down to skincare and internal skin support. I also want to stress that if you are going to have cosmetic injection performed that you need to go to a practitioner that you trust, understands your desired results and is willing to stay “No I will not preform that on you” as the last thing you want is to look un-naturally, frozen or too bigger lips!! I also believe (and know for a fact) that we are all going to age, and that for some they want to age gracefully with limited intervention, except a good skincare regime and SPF!! And they are not interested in freezing muscles and adding volume, and I fully support these people as much as I support those that are for it. As the old saying goes “You get what you pay for”, this applies to all areas of life and sometimes we learn the hard way that the cost can matter. The total cost of ingredients will always vary as it depends on what is included in the product. The active ingredients are far more expensive than fillers, preservatives and bulking ingredients and sadly because of this you will often find a high amount of filler, preservatives, and bulking ingredients in lower priced products. The main problem with having higher levels of filler/bulking ingredients than active ingredients is; Bulking, filler and preservatives have absolutely no benefit on the skin, instead they are often really harmful and will do some serious damage to the skin. Then why would they include these bad products you wonder…as there group name suggests they are used to fill out a product, stretch and limit the volume of actives that are needed and ultimately keep their cost to a minimum, meaning they are then able to retail it for a “bargain” price! Sadly these skin care producers have limited concern for your skin, they just want the sales and they don’t have to impress people like myself in the hope that I will retail their products because they are directly selling to the consumer (who naturally has limited knowledge of cosmetic chemistry). There are limited general consumers out there that have studied cosmetic chemistry, so when they turn over a supermarket/department store skincare product the long list of ingredients either confuses or impresses them (even though they have no idea what they do). To get results with your skin you need active ingredients and a large amount of them, but where is the active ingredient in a long list? AQUA / WATER • DIPROPYLENE GLYCOL • DIMETHICONE • GLYCERIN • HYDROXYPROPYL TETRAHYDROPYRANTRIOL • PROPYLENE GLYCOL • C12-15 ALKYL BENZOATE • ALCOHOL DENAT. • DIMETHICONE/VINYL DIMETHICONE CROSSPOLYMER • PEG-100 STEARATE • STEARIC ACID • POTASSIUM CETYL PHOSPHATE • POTASSIUM HYDROXIDE • CARBOMER • GLYCERYL STEARATE • SILICA • 2-OLEAMIDO-1,3-OCTADECANEDIOL • PALMITIC ACID • DISODIUM EDTA • HYDROLYZED HYALURONIC ACID • HYDROXYETHYLCELLULOSE • CAPRYLOYL SALICYLIC ACID • XANTHAN GUM • CETYL ALCOHOL • OCTYLDODECANOL • TOCOPHERYL ACETATE • PHENOXYETHANOL • CI 15985 / YELLOW 6 • CI 19140 / YELLOW 5 • CI 77891 / TITANIUM DIOXIDE • MICA • LINALOOL • LIMONENE • CITRONELLOL • BENZYL ALCOHOL • PARFUM / FRAGRANCE. Aqua/Water | Sodium Hyaluronate (Hyaluroinc acid) | Palmitoyl-Pentapeptide3 (Matrixyl) | Vitis Vinifera(Grape seed) Extract | Ubiquinone(Con-Enzyme Q10). Now highlighted above is the same ingredient in both serums as this is a common anti-ageing ingredient (often you will find a variety of names for the same ingredient!). The order that ingredients are listed on a product shows there quantity – highest at the beginning, lowest at the end. So in the example of the supermarket serum there is a large list prior to the active and they are all bulking, filler or preservative ingredients!!! The other factor determining the price is how the product is made; nearly all skincare ranges are made in a lab, whether they are supermarket/department store or salon products. The lab is responsible for blending the raw ingredients and decanting into containers. But not all labs are the same and the choice of lab will be a huge factor in the cost of production along with establishing the level of preservatives that are needed to be added to the product because of the environment in the lab. If a lab is GMP certified then it means they have an extremely controlled environment and protocols; the air is specially vented and pressured; they are fully gloved, masked, and gowned; they work in a 100% sterilised environment and there is absolutely no way bacteria can be in the area. GMP labs cost, because to have the environment in this manner there is always going to be a huge expense but what it means for the products created in this environment is they are going to be 100% bacteria free, and decanted into an airless fully sealed container. This ultimately means they don’t have to add preservatives, stabilisers and bacteria killing ingredients to the product, and the consumer receives a product that will be free of the leading causes of skin irritation and inflammation (preservatives and stabilisers) and not have an ingredient that could kill their skin’s good bacteria. These are labs that have no or very little protocols in place when creating products. Because of the environment the products are created in there is a high chance that bacteria can enter or be exposed to the products at the time of manufacture. In order to kill this bacteria high levels of preservatives and bacteria killing ingredients are needed to be added to the product. These labs are cheaper to use and often because of this big product houses will use them, as it is a HUGE cost saving option, yes more ingredients have to be added in the form of preservatives but that small price out ways the cost of using an un-certified lab. Sadly though what this means for the consumer that buys products made in a main-stream lab is, they are applying (often unknowingly) ingredients to their skin that are going to be harmful, make it irritated, inflamed and have no benefit to the skin cells. It is hard to compare a current salon brand as often Non-GMP labs are unable to make the product due to the ingredients that would be needed (preservatives) are not included hence I was unable to get a costing. I know this all seems confusing and it is hard for you to determine what you should be buying, which is why I want to help. I have studied Cosmetic Chemistry, and I will only stock products and brands that are free from preservatives; have only the ingredients you need, no filler or bulking ingredients; and work with high levels of actives or in some cases 100% actives, because if you are going to spend your hard earned money I want you to get the results! !